CALS scientists regularly partner with businesses and other organizations to conduct research that answers questions and solves specific problems. Companies also have the option to license campus discoveries that have been patented through the Wisconsin Alumni Research Foundation. Advanced Genome Analysis Resource: The Advanced Genome Analysis Resource (AGAR) provides bioinformatics support for researchers with high-throughput nucleic acid sequence data. 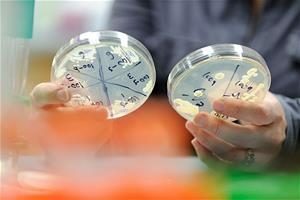 AGAR contracts with campus scientists, as well as external customers, providing computational support for data generated at the UW Biotechnology Center or elsewhere. Agricultural Research Stations: Researchers utilize the college’s Agricultural Research Stations as outdoor laboratories, classrooms and education centers to study agricultural and other sciences, often working with industry partners to address specific agricultural challenges. Applied Population Lab: The Applied Population Lab specializes in translating social and economic data into useful information for Wisconsin’s citizens, policy makers, public agencies, private organizations and other state residents seeking to understand the demographic, social and economic changes taking place around them. The APL collaborates with a variety of clients, including local governments, state agencies, UW Cooperative Extension colleagues, non-profits and community-based organizations, and university faculty and researchers. Babcock Hall Dairy Plant: The Babcock Hall Dairy Plant is a research and teaching facility that specializes in dairy products, including yogurt, ice cream, fluid milk products, butter and cheese. Faculty researchers, graduate students and industry clients use the plant in their research to evaluate processes, ingredients and equipment. Biophysics Instrumentation Facility: The Biophysics Instrumentation Facility (BIF) has fourteen state-of-the-art instruments that enable users to study the conformation, structure and complexation of biological and other macromolecules. 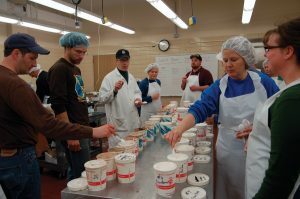 Center for Dairy Research: Scientists at the Wisconsin Center for Dairy Research explore the functional, flavor and physical properties of cheese and cheese products, as well as other milk components used as ingredients and finished products. The CDR is open to working with industry partners for special projects. 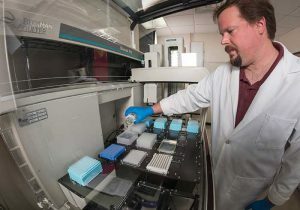 Center for Eukaryotic Structural Genomics: The Center for Eukaryotic Structural Genomics (CESG) develops new methods and technologies to reduce the time and expense involved in determining three-dimensional protein structures. The center welcomes requests by researchers to solve eukaryotic protein structures, particularly medically relevant proteins. DNA Sequencing Facility: The DNA Sequencing Facility provides DNA sequencing, DNA genotyping and DNA extraction services to clients at public and private institutions. Food Research Institute: The Food Research Institute (FRI) is the portal to food safety at the University of Wisconsin-Madison. FRI’s mission is to catalyze multidisciplinary and collaborative research on microbial foodborne pathogens and toxins and to provide training, outreach, and service to enhance the safety of the food supply. FRI is a leader in identifying and resolving food safety issues to meet community, government and industry needs. Food Science’s Pilot Plants: The Department of Food Science maintains three pilot plant facilities that are available on a fee-for-service basis for general food product processing studies, as well as equipment and process evaluations. Processing capabilities include: confectionary, fruit and vegetable, spray drying and general food/dairy. Food Science’s Sensory Analysis Laboratory: Located in Babcock Hall, the Sensory Analysis Laboratory provides food sensory evaluation services to both industry and university researchers. Land Information and Computer Graphics Facility: The Land Information and Computer Graphics Facility (LICGF) is a research, instruction and outreach facility that supports the development and application of geographic information system technology for natural resource management and land records modernization. Microscopy at UW-Madison: The Laboratory for Optical and Computational Instrumentation (LOCI) maintains this online guide to research and service imaging instruments available on campus. 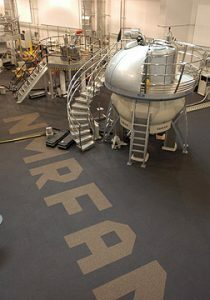 National Magnetic Resonance Facility at Madison: The National Magnetic Resonance Facility at Madison (NMRFAM) is a state of the art NMR spectrometer facility available to scientists both on and off campus. The experienced staff is available to train users, as well as provide consultation and collaboration on experimental design, data collection and analysis. Plant Disease Diagnostics Clinic: The Plant Disease Diagnostics Clinic (PDDC) provides assistance in identifying plant diseases, as well as educational information about plant diseases and their control. Soil and Forage Lab: The UW Soil and Forage Lab offers a wide range of diagnostic services to campus researchers and the general public. Services include soil, forage, manure and plant tissue analysis for anyone engaged in agriculture, commercial horticulture and home horticulture. Transmission Electron Microscope facility: The Transmission Electron Microscope (TEM) facility houses a state-of-the-art Technai T12 transmission electron microscope with high quality digital imaging capabilities. This microscope is the standard for sub-cellular ultrastructural imaging at high magnification. A full complement of specimen preparation equipment is available onsite as well. The use of equipment and services are available to campus and industry scientists. 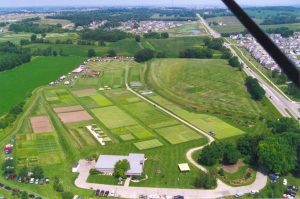 UW-Madison Turfgrass Diagnostic Lab: The UW-Madison Turfgrass Diagnostic Lab (TDL) provides fast and accurate diagnostic information and management recommendations for all turf health issues concerning both commercial turfgrass managers and homeowners. W.M. Keck Laboratory for Biological Imaging: The W.M. Keck Laboratory for Biological Imaging provides confocal and multiphoton imaging services to any UW scientist and to non-academic entities based on approval.